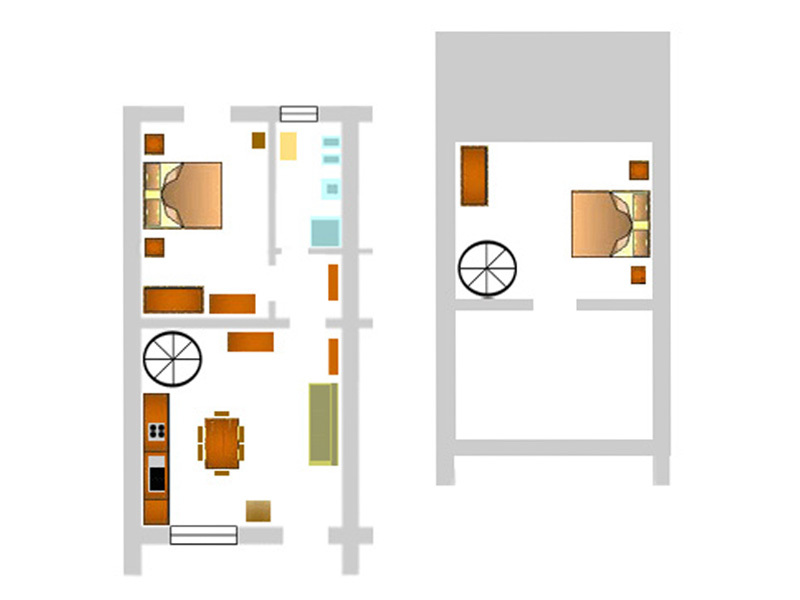 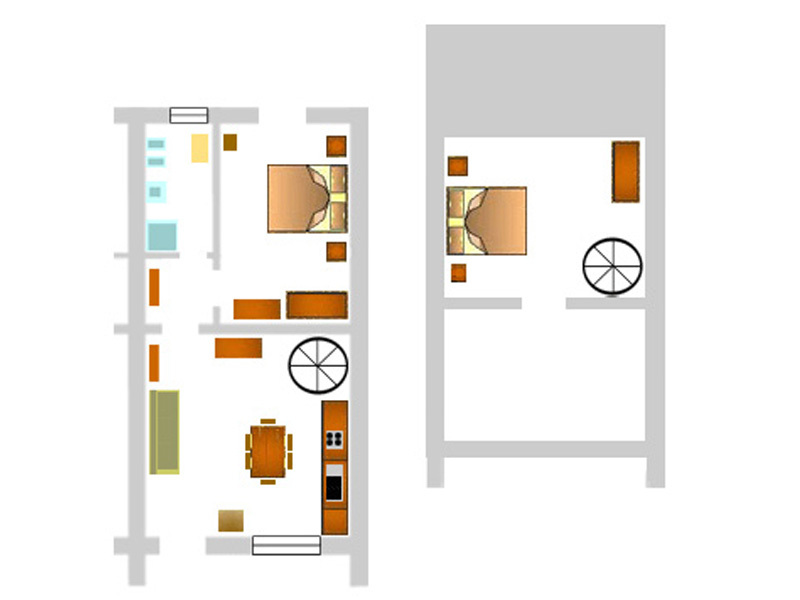 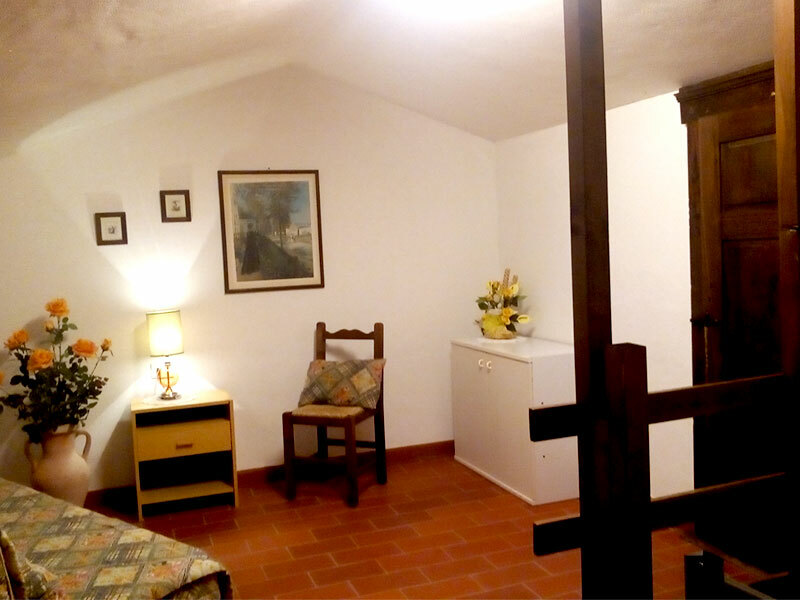 This apartment of 60qm has 3 rooms (living and two bed rooms) and two separate bath rooms. 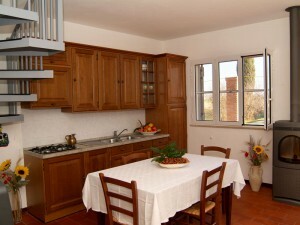 The apartment is furnished with lovely Tuscan wood furniture. 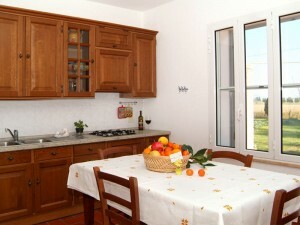 The entree of the apartment leads directly into the living room which has a well-equipped kitchen, table, bed-sofa and tv. 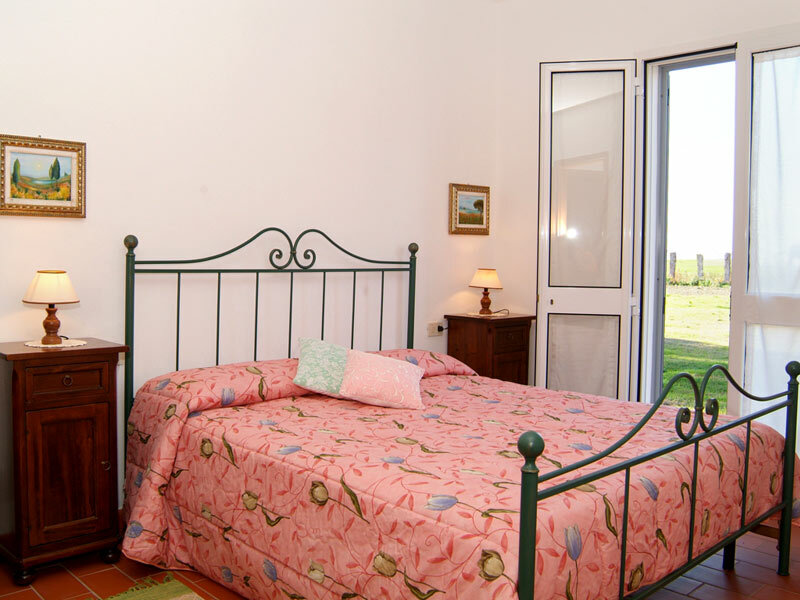 A double bedroom and the main bathroom lie also on the ground-floor. 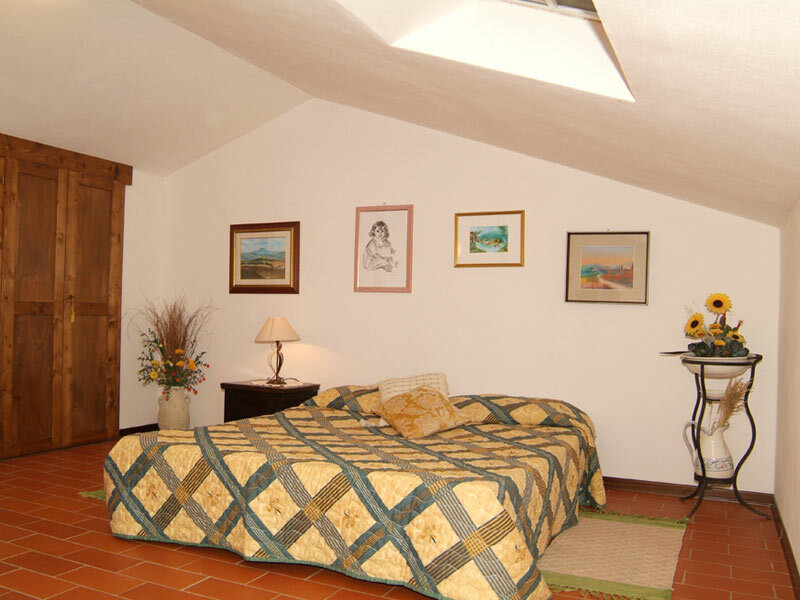 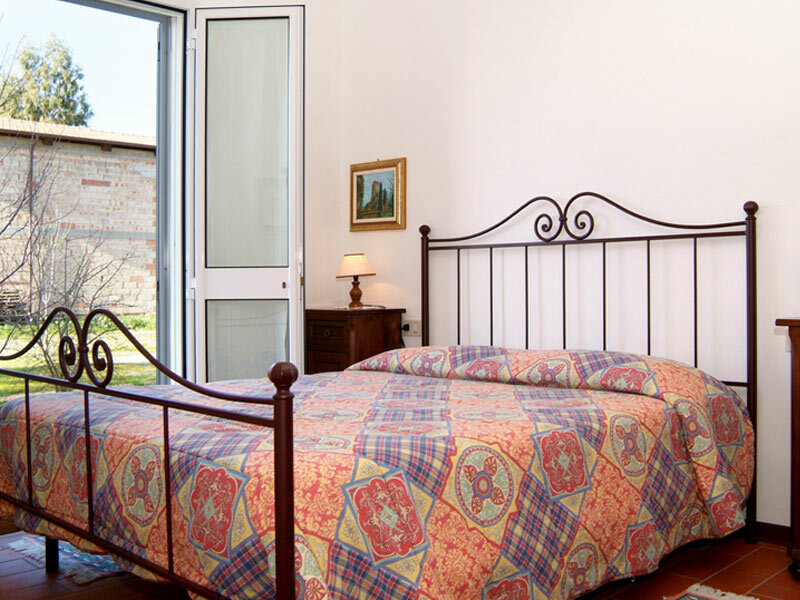 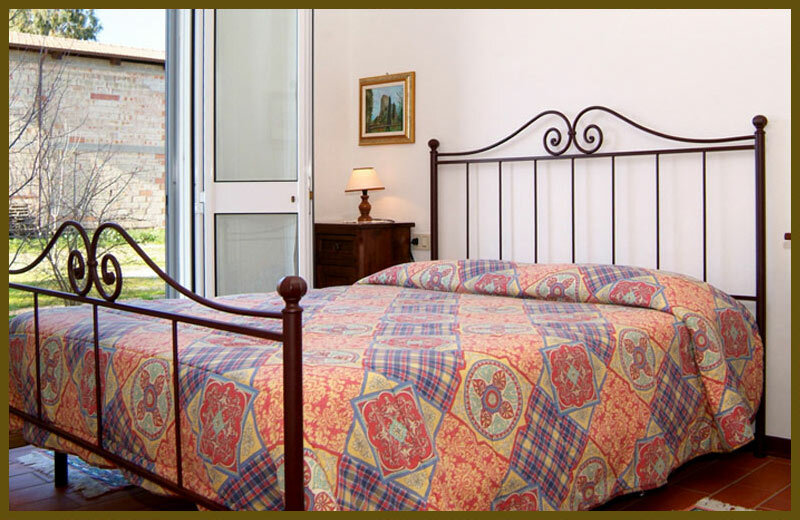 The bed room is generously furnished with Tuscan furniture and has a direct access to the garden. 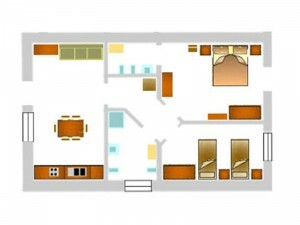 The 1st floor locates another bedroom, which on request can be set up with a double bed or two single beds. 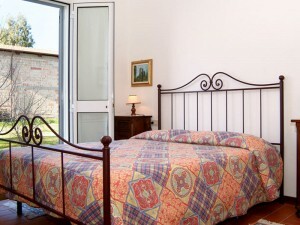 The rooms are spacious and an extra bed for a child can be added in each bed room. La Cantina is ideal for 3 adults and 2 children. 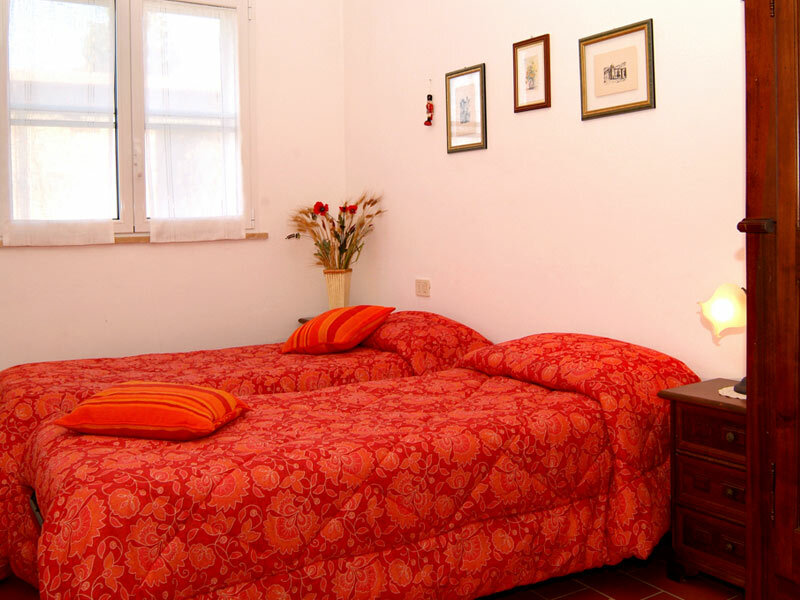 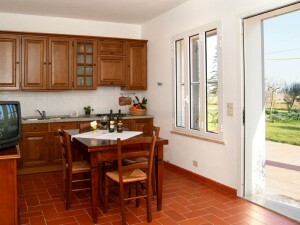 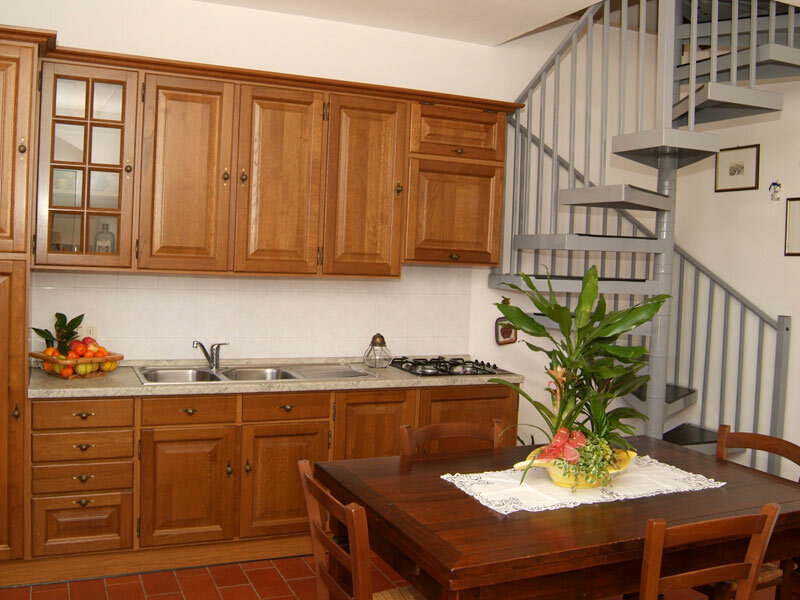 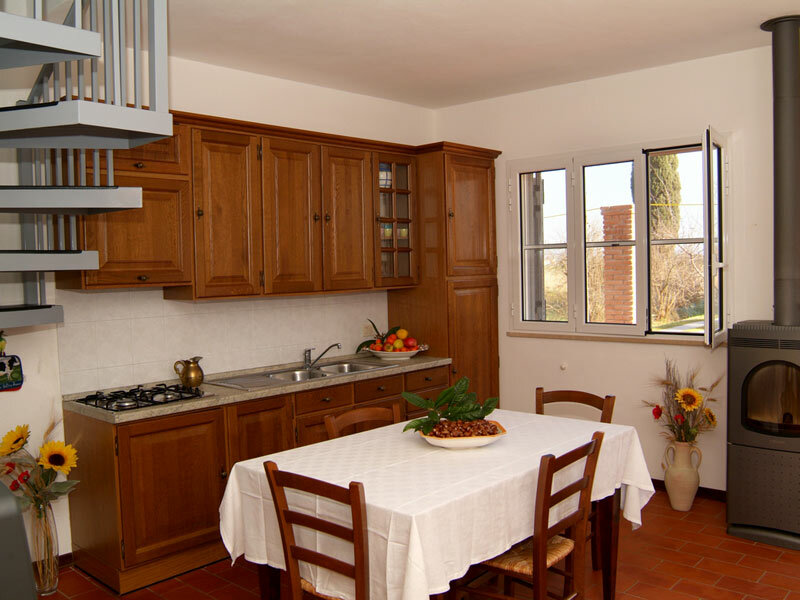 The Apartment is 60qm and it’s furnished with lovely Tuscan wood furniture. The entry-way of the apartment leads directly into the living area which has a well-equipped kitchen, table, sofa and tv. 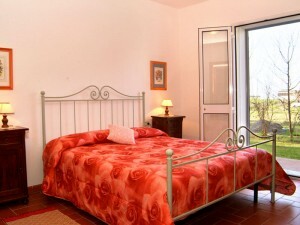 The bathroom and a double room are also situated on the ground-floor. 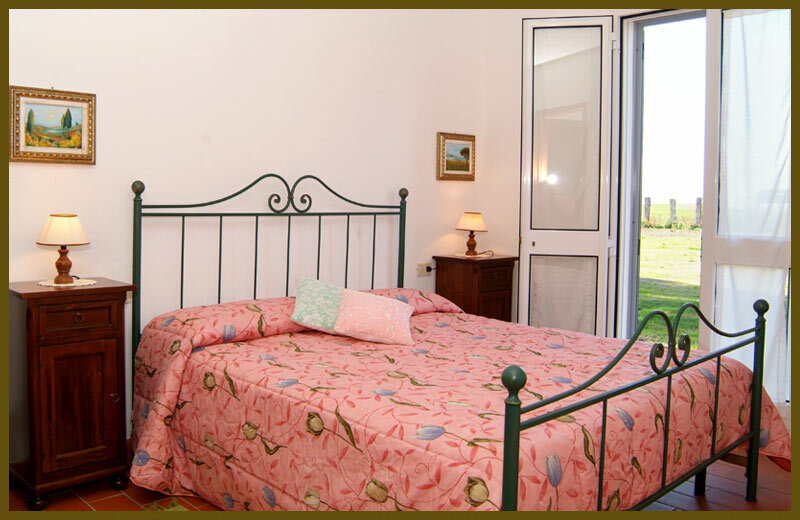 The main bedroom is beautifully furnished and has direct access to the garden. 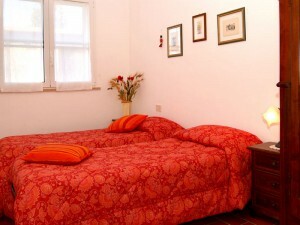 A second comfortable bedroom of 20qm lies on the 1st floor. 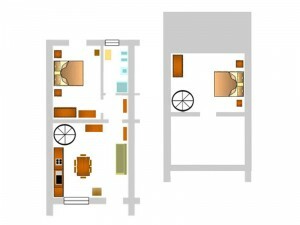 The apartment (2+1) is ideal for a couple. 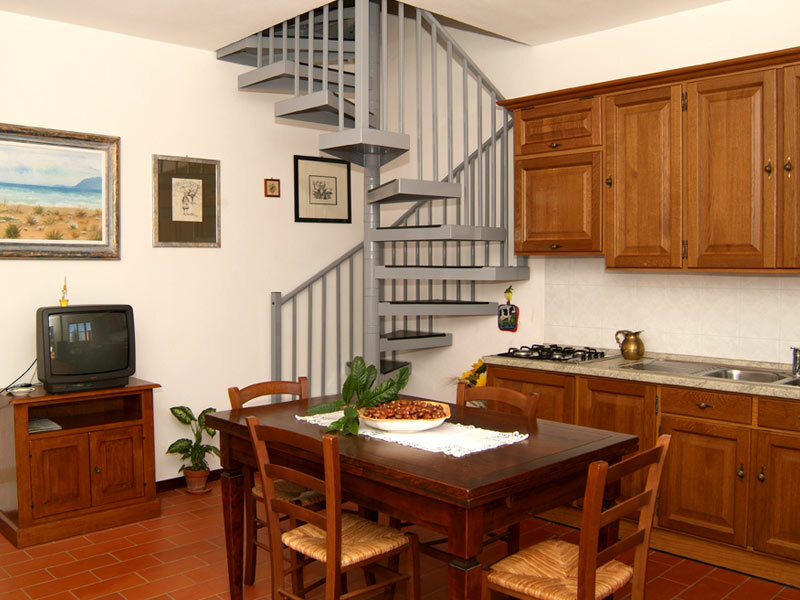 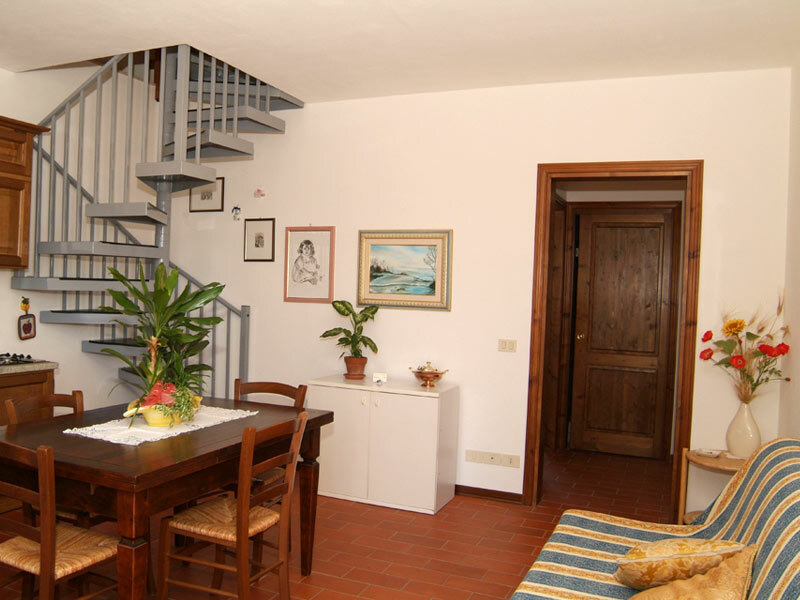 The Apartment is 60qm und it’s furnished with lovely Tuscan wood furniture. 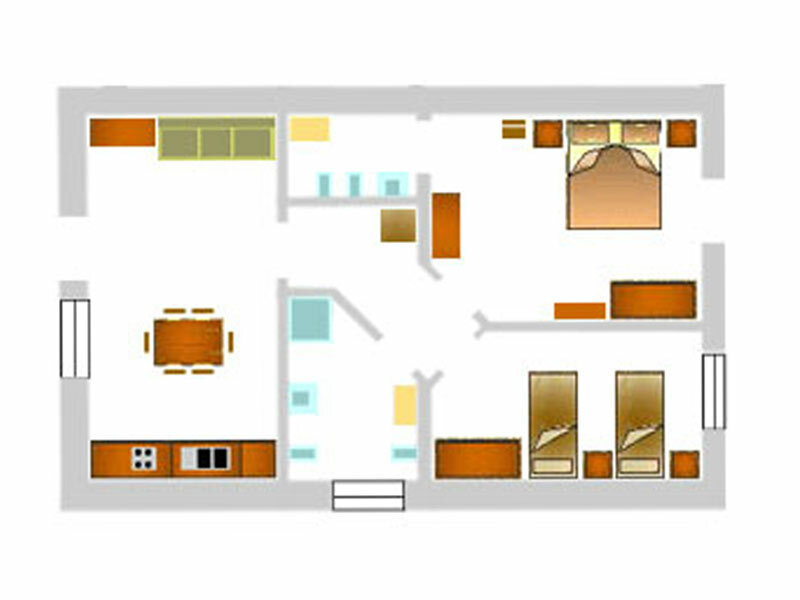 The entry-way of the apartment leads directly into the living area which has a well-equipped kitchen, table, sofa and tv. The bathroom and a double room are also situated on the ground-floor. The main bedroom is beautifully furnished and has direct access to the garden. 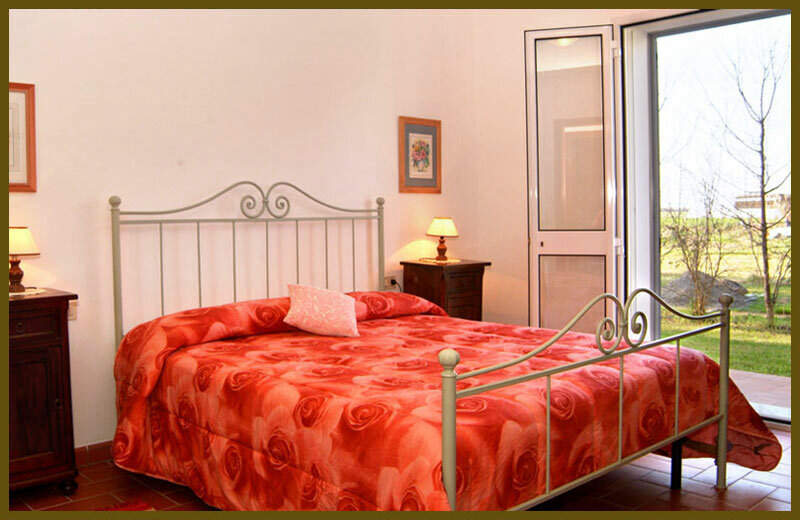 A second comfortable bedroom of 20qm lies on the 1st floor. The apartment (2+1) is ideal for a couple.